January is going to be small giveaway month here at The Grandma Chronicles and I am starting off with a really fun one. You may not know it but Saturday, January 8th is National Bubble Bath Day. That’s right – National Bubble Bath Day. The concept is simple. Fill your bathtub up with bubbles and toys and then jump in and have fun. I just found out about it and was offered the opportunity to have this giveaway. The giveaway is for a Pocoyo Bath Fun Figurine (ages 18 mos+; retail $2.99). So who is Pocoyo, you say? Have you been hiding under a rock and not watching PBS or Nick, Jr. in one of 100 countries? The series follows the adventures of three-year-old Pocoyo (“little me” in Spanish), an inquisitive and fun-loving boy and his animal friends, Elly (the elephant), Pato (the duck) and Loula (the dog). This international award winning show is popular with the pre-school set. But Pocoyo is not just on TV. You can find Pocoyo on the Internet, in videogames, toys and with a whole online community. You can find out more about Pocoyo and download lots of activities, computer wallpaper, etc at their website. 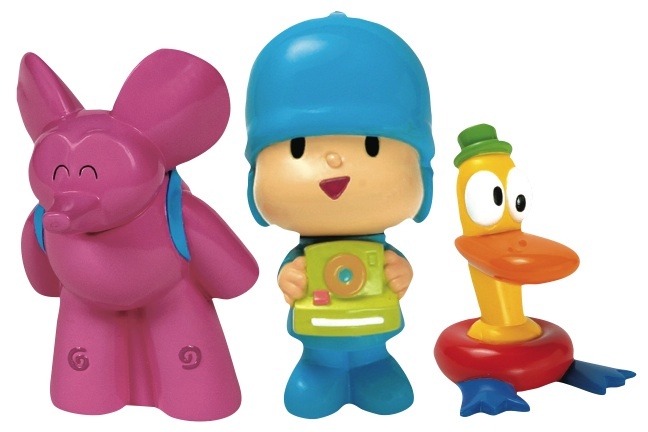 Pocoyo toys and DVDs are available at Toys”R”Us and online at Amazon.com. You can purchase them at Amazon by clicking on the links below where I’ve shown a couple of favorites. 1. Leave a comment by Wednesday, January 12th, 2011 before midnight. That’s it. I’ll use random.org to pick the winner and I’ll post it here on Thursday. If you enter, be sure to check back on Thursday. I haven't seen your blog for ages. Just finally went on Grandparents .com and found your blog. Hurray! I see you are a grandma like myself. I enjoy reading about you and you doing the leg work on products that are better for our grandkids. thanks! 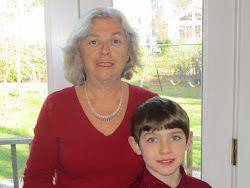 It helps to know you are as crazy about your grandson as I am about my 7 grandchildren . Congratulations! You are the winner of the Pocoyo giveaway. Please contact me privately at marionconway@aol.com with your mailing address and the bath toy will be mailed to you.